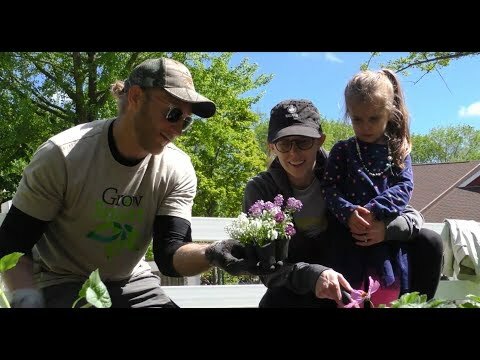 ATC, Melinda Myers and Milwaukee County Zoo team up to help pollinators | American Transmission Co.
Plants and flowers that help birds, butterflies and bees are growing strong at the Milwaukee County Zoo. That’s because kids and families worked with gardening expert and horticulturist Melinda Myers to plant pollinator-friendly vegetation at Party for the Planet in May. The planting happened at the ATC Pollinator Garden, which was established on the zoo grounds in 2015. Helping pollinators is part of ATC’s Grow Smart program, which helps property owners and communities identify low-growing, beautiful, compatible vegetation that can be planted the smart way – a safe distance from transmission line rights-of-way. ATC works with its construction contractors to plant seed mixes in its rights-of-way that generate vegetation beneficial to many species of pollinators.